We arrived late from Geneva and had an exciting ride through the lit-up streets of Rome in the evening. 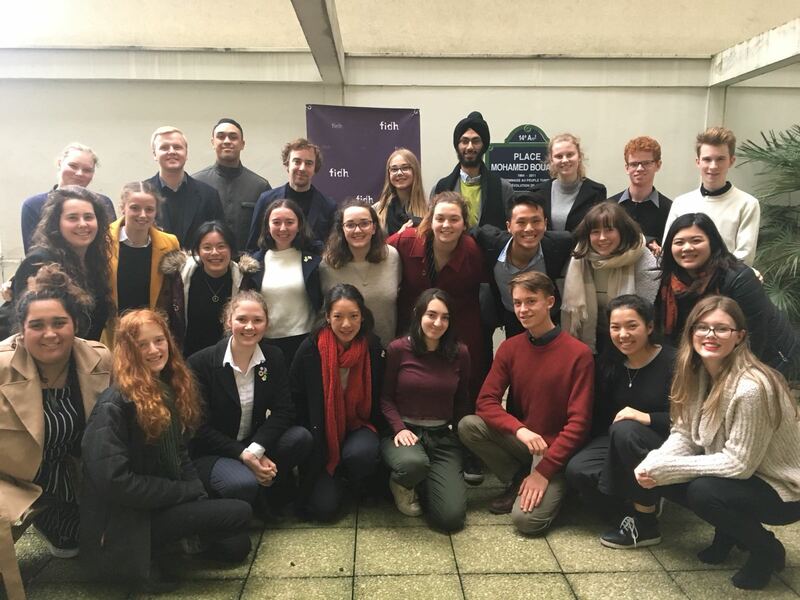 It felt unbelievable that we were about to have our second-to-last day and our final meeting for the Global Development Tour. The early start was worth it though. In anticipation of our arrival, the World Food Programme (WFP) had organised a half-day of expert speakers. Firstly, we had the Head of Communications, Caroline, give us a background of the objectives and functions of the WFP. The interesting point she raised was the reality that the WFP is indispensable but is also funded entirely voluntarily – and mostly by governments such as the United States of America. The delegates were proud to hear that New Zealand also came in quite highly on the donors list. It was rewarding to see the delegates link their learning from meeting with the WFP’s Share the Meal team. We also discussed the day-to-day operations of gathering data while working in a disaster-struck site where the WFP is stationed and the relationship between hunger and climate change. It was refreshing to see that the WFP was committed to carbon-neutral methods of ending world hunger. 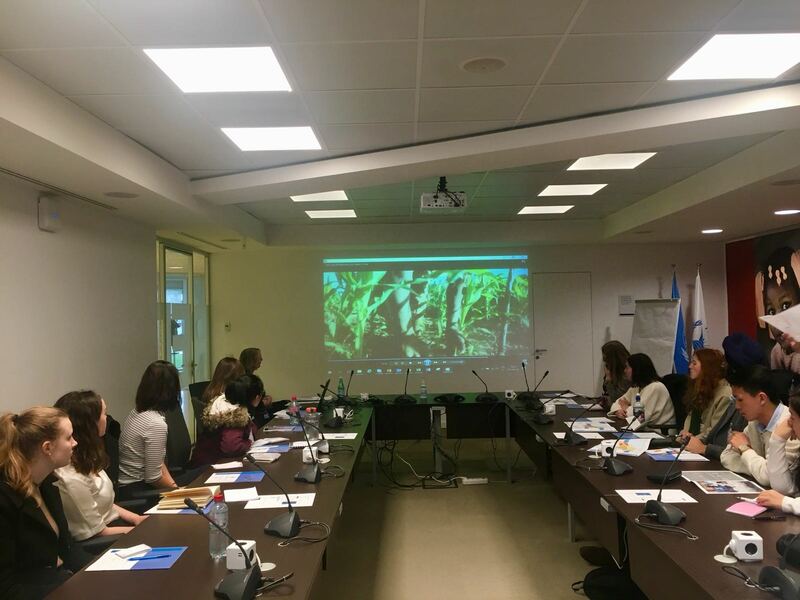 We would like to thank all the speakers who gave us a candid view of what it is like to be working in field for the WFP and the importance of the courage to do so to truly understand the aims of the WFP and the UN SDGs overall. After our meeting, we had lunch at the WFP cafeteria, which was a delight. 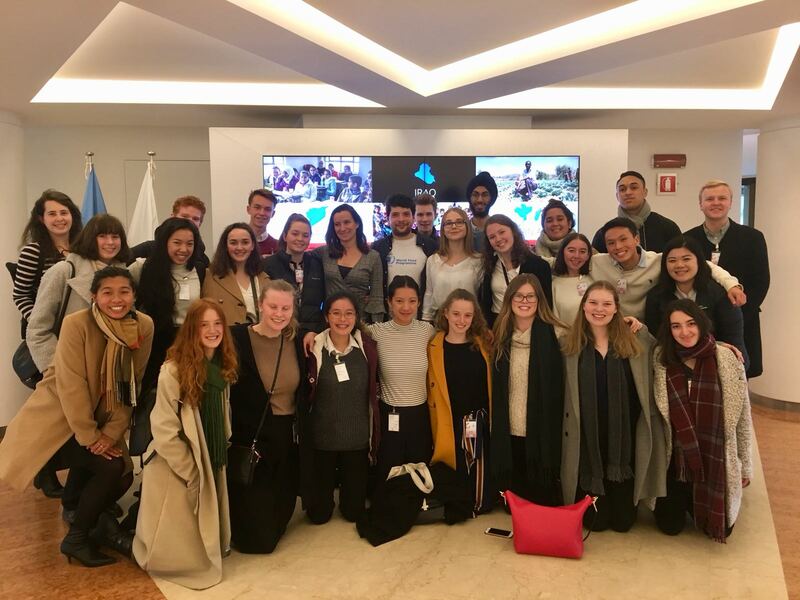 The delegates immediately felt the multiculturalism of the WFP Headquarters in Rome and commented on the diversity of cuisine on offer. We are very lucky to have had this experience. Next on our agenda we got to explore more of Rome’s treasures including the Colosseum and the streets of Rome. A lucky coincidence for the delegates occurred where our previous past President was able to join us for dinner as he was also in Rome at the same time! The next day we explored St. Peter’s Basilica, St. Peter’s Square and the Vatican City. Everyone was in awe of the scale of the frescoes on the ceiling of the Sistine Chapel by Michelangelo and the Raphael Room. Needless to say, this was a highlight for all the delegates, but in particular those who had studied Classics. Some of the delegates also chose to go to the Roman Forum. It was an easy-going day where we let the delegates explore and find last-minute souvenirs before meeting up at the Trevi Fountain. Our last delegation dinner was a glorious feast worthy of the Ancient Romans, many heart-warming speeches, and hilarious recollections of our time together. There was no denying that there were speechless acknowledgements that this tour has made an insurmountable impact on each of our delegates. 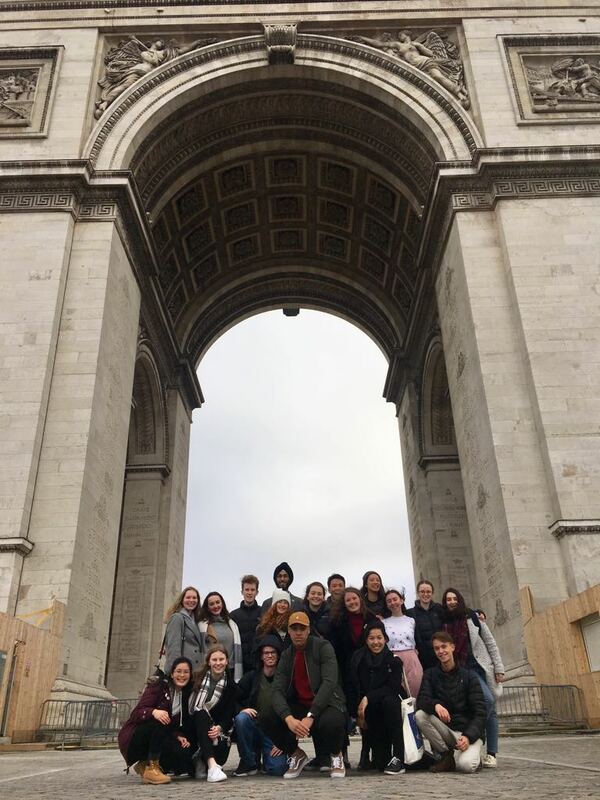 After our exciting train ride from Paris into Ville de Genève, we were all really keen to make the most of our two full days here. We started off early to our meeting with Juan from the UN Office of the High Commission for Human Rights. Juan had an interesting background from Latin America as well as his experience working on the Expert Mechanism for Indigenous Peoples. The delegates were really fascinated with his examples of specific issues and instances of human rights broadly and in the context of minorities and Indigenous Peoples. We had free time around the centre of Geneva to explore and get lunch including trying a healthy vegan restaurant. 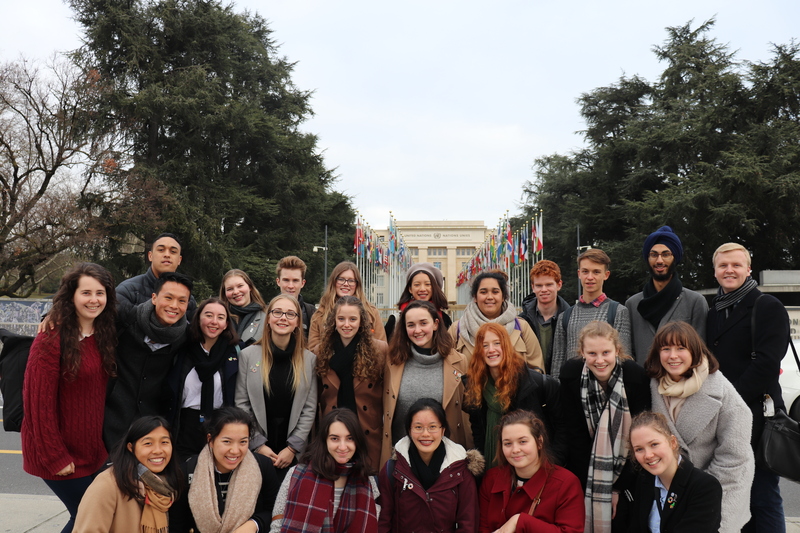 We then returned to the Palais de Nations and headed towards the International Committee of the Red Cross for a museum tour. It was interesting to see how important key figures such as Henry Dunant and key historical events such as the Battle of Solferino was to the founding of such an iconic organisation. Realising how important the organisation is in continuing to track family members after even recent armed conflicts and intra-state wars is warming. The museum itself was also very interactive with sensory artworks and a group game called Hurricane which involved our entire delegation to work as a team to save a village from a tsunami. We then took the tram again to the Old Town of Geneva where we saw the beautiful St. Pierre Cathedral. It was an amazing view from the top of Lake Geneva and the city. There were countless chocolatiers to entertain our delegation and the quaint nature of the town added to the surreal atmosphere. 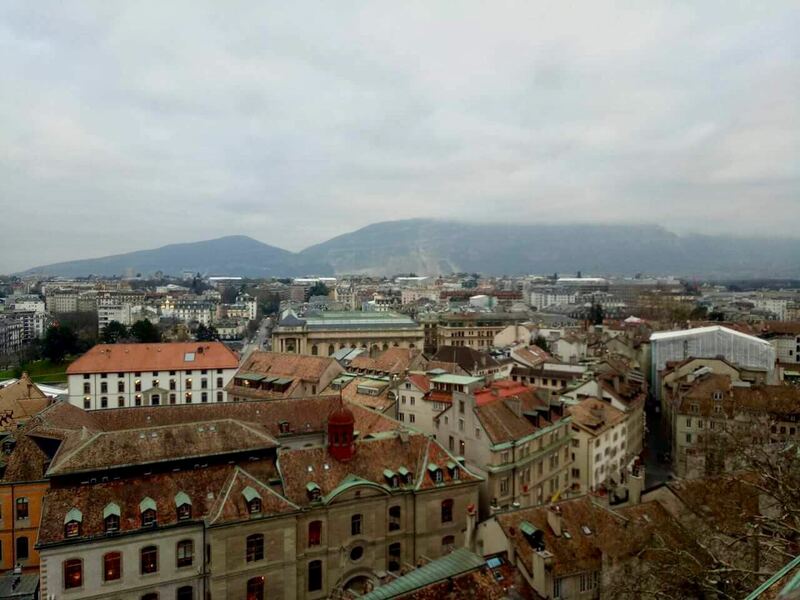 View from the top of St. Pierre Cathedral in the Old Town of Geneva. One of the highlights of the evening was having a wonderful dinner at Restaurant Les Armures. Fun Fact: Bill Clinton has dined here too. Our last day in Paris was very intense and packed full of things to do and see before we left for Geneva. We had a brilliant morning meeting with Roger Duncan who works in the OECD but was originally from Wellington. 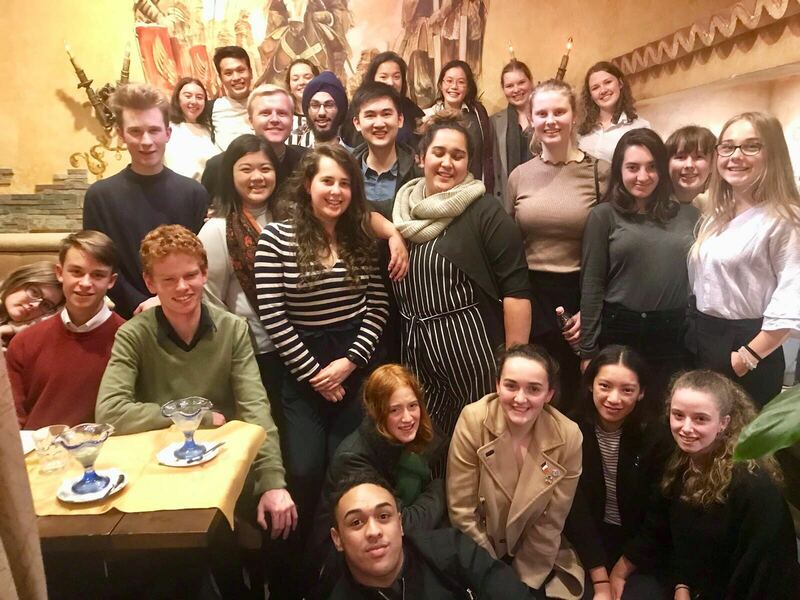 The delegates who had been tested on the PISA tests at school were really surprised that they had contributed to the international statistics which shows how NZ students fare compared to other countries who also completed these tests. The delegates were also really interested to see how the OECD is working across all sectors of the SDGs so that the SDGs are relevant to the continual work of the OECD. Comically, Roger mentioned there are over 100 committees, including one named the ‘Tractor Committee’. We then went to a French bakery which was rated one of the best in Paris! Our next meeting was with Antoine from the International Federation of Human Rights. The federation is an international human rights Non-Governmental Organisation representing 184 organisations from 112 countries. The aim of the organisation is to defend all civil, political, economic, social and cultural rights as set out in the UN Declaration of Human Rights. 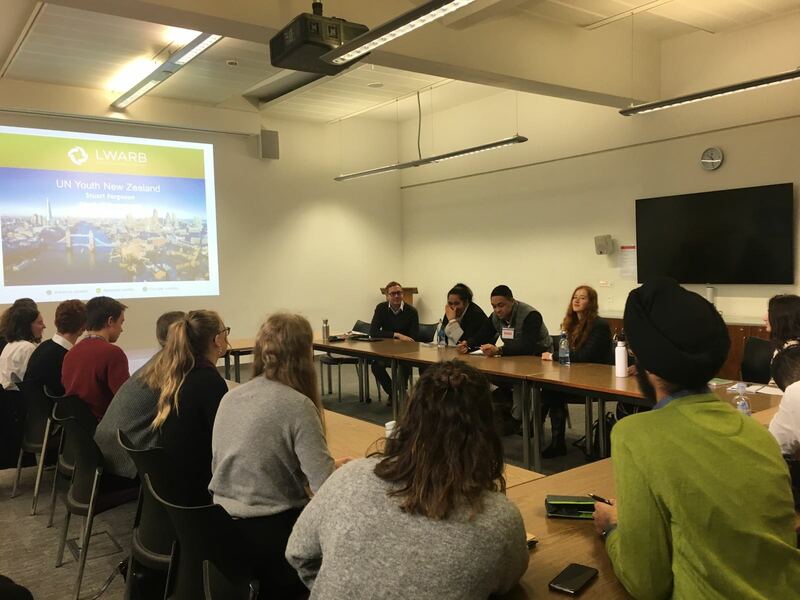 The delegates brought in a lot of topical events such as the Arab Spring and France’s controversial prohibition on religious dress and how that relates to Human Rights. After our meeting with Antoine finished, we hustled back to catch our evening train to Switzerland! Charles Dickens noted that Paris “is the most extraordinary place in the world” and as a delegation, we understood its charm. Our first two days were a wintery weekend in Paris but we were lucky enough to explore the city’s many gems. 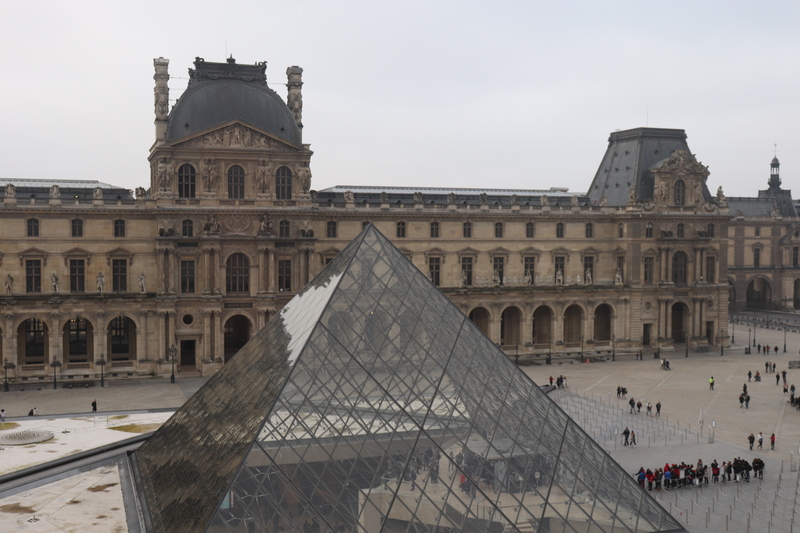 We headed first-thing in the morning to the Louvre to see the iconic permanent artworks (a.k.a. Leonardo da Vinci’s Mona Lisa and other artworks) before the lines became too unmanageable. The delegates were very impressed with the variety of collection of artworks here including sculptures from Antiquity, artwork from Africa and Oceania, and Northern Renaissance pieces. After the Louvre, we walked down Champs Elysees, the famous shopping district of Paris. Delegates had free time to spend around this area before we re-grouped to go to the overarching Arc de Triomphe. After the Arc de Triomphe, we went to the beautiful Parc Monceau to make the most of the sunlight while we had it. It was built in the 17th century, and is one of the most elegant gardens in Paris. We concluded our first day with a lovely dinner at a French restaurant to try the local fare, all very much looking forward to another day of exploring this exciting and creative city. The next day was a leisurely Sunday and we were fortunate enough to walk along a full Seine River. We were also fortunate enough to listen to part of a service at the beautiful Notre Dame Cathedral. 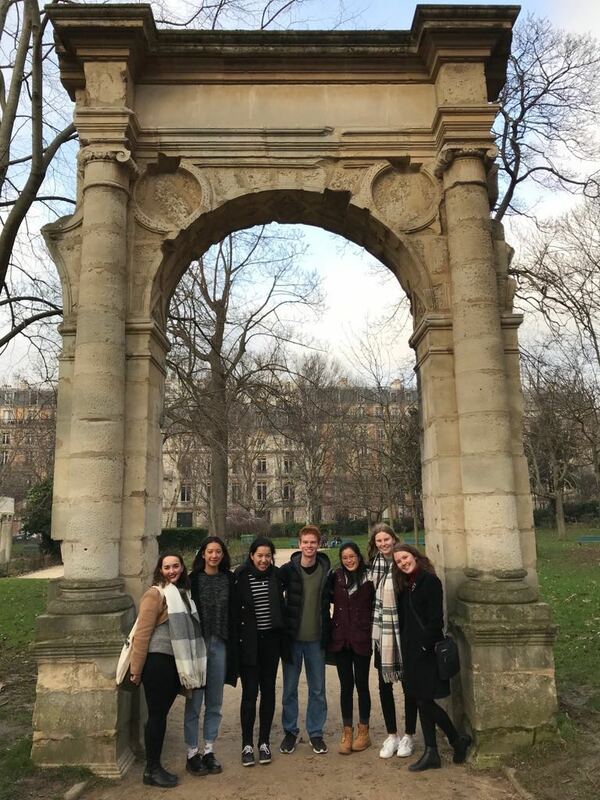 Delegates were able to visit the Crypt and learn more about the ancient history of Paris (previously known as Lutetia during the 2nd and 4th century) or to walk up to the top of Notre Dame. We then went to the Eiffel Tower and although we were not able to climb to the top due to construction, it was a fine day to be seeing it from the base. After we had time for photos and viewing of the Eiffel Tower, our delegation went to see more modern art at the Paris MOMA. There were key American and French modern artists including Monet, Matisse, Delauney, Holzer and Kruger as well as contemporary exhibitions. Berlin: The Reichstag, ‘Refugee Crisis’ and Ready-set-go! 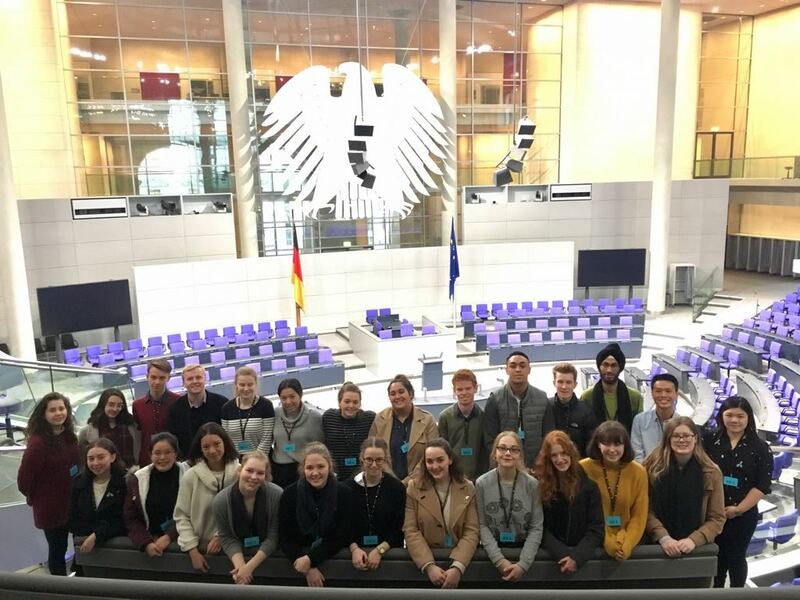 This morning we received an informative tour of the German Bundestag (Parliament) including the terrace and dome of the Reichstag Building. There were interesting art installations which reminded the members of Parliament of its precarious past and interesting architectural features such as concrete silos for tree roots in the underground tunnel connecting the different section of the Bundestag. The symbol of the Reichstag was designed by Norman Foster to represent freedom and power. The dome of the Reichstag Building is also constructed of clear glass panels to represent the transparency of the German Parliament. 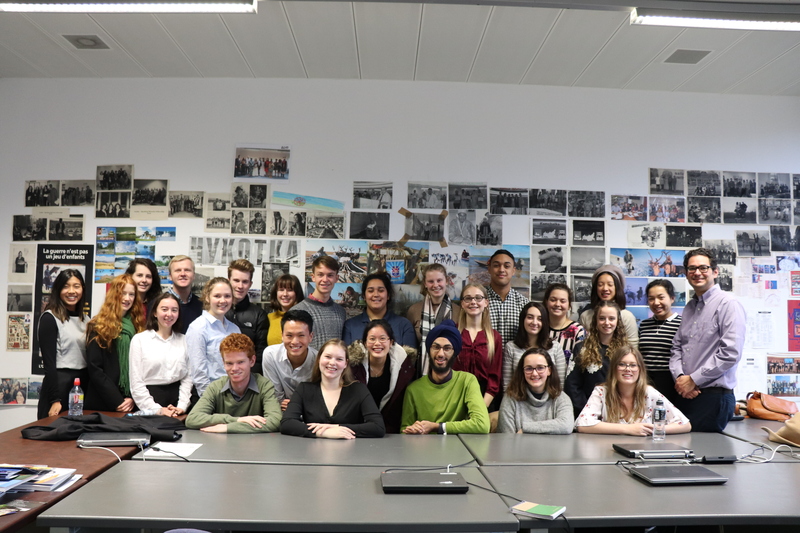 After our tour we headed over to a meeting with the UN High Commission for Refugees (UNHCR) in Berlin to learn how they work to assist and protect refugees. The UNHCR acts as a monitoring body to ensure that everyone has the right to seek asylum and find safe refuge in another State, with the option to eventually returning home, integrating in the new country or resettling elsewhere. The delegates found this meeting informative because of recent events back in New Zealand and thought it was interesting to view New Zealand’s role in this issue from the perspective of Germany and other larger states. After our meeting we walked over to the remains of the Berlin Wall. In particular, we walked down the East Side Gallery and got to witness some thought-provoking and poignant murals. Some of the delegates even got a replica stamp on their passports of the old stamps which were given when one passed from West to East Berlin. Overall, the delegation thoroughly enjoyed our last day in Berlin. Posted in Global Development Tour 2018, Globalisation TourLeave a Comment on Berlin: The Reichstag, ‘Refugee Crisis’ and Ready-set-go! We only had three full days in Berlin and sadly, Germany marked the halfway point of our tour. Despite the intensity and fast-paced nature of each of our days, somehow we still seem to be having a lot of fun (and hence time flies)! Our first day started with a sombre historical excursion to Sachsenhausen Concentration Camp. 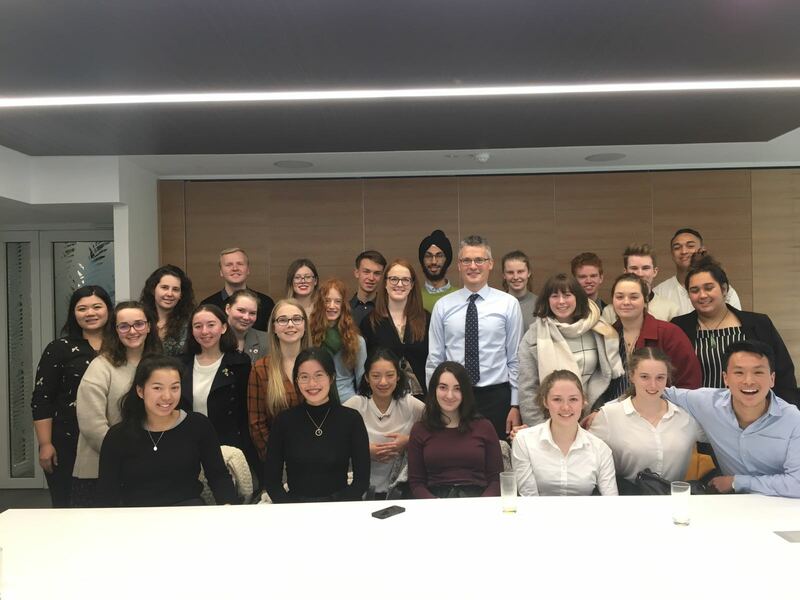 The delegates all noted that this was a very educational experience, including giving them some context to the World War II history they have learnt at school. It was interesting to learn that Sachsenhausen was never intended to be a concentration camp, although it later became one, but rather it was designed and built to house political dissidents. Out of respect the delegates did not take any photos here but we were able to then venture to Bebelplatz where the book burnings occurred outside Humboldt University of Berlin. 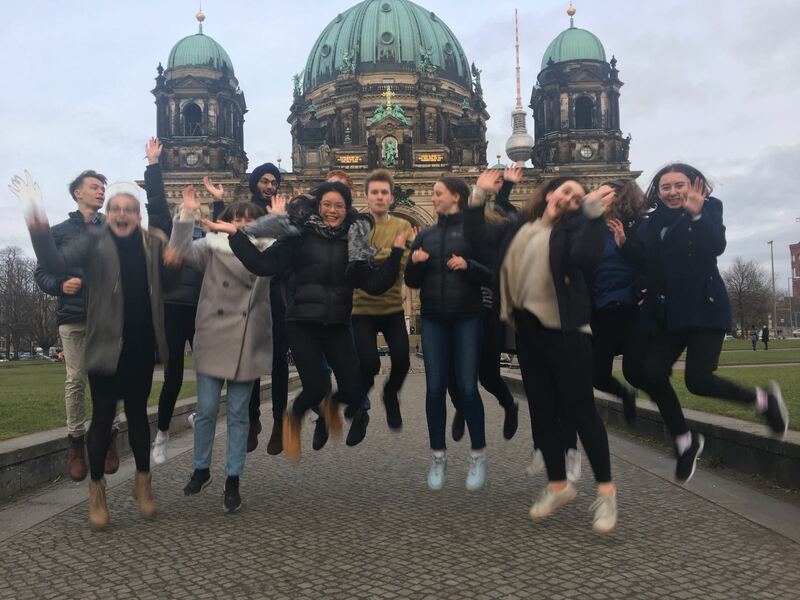 Some delegates also got to explore the Berlin Cathedral Church or the Alte Nationalgalerie which housed Impressionist and early Modernist art including iconic Rodin sculptures. Although our morning trip was more serious, we also got to celebrate Hayley’s birthday with a lovely dinner together. The camaraderie which the other delegates showed is impressive since almost all of them have only known each other since our December Planning Weekend. The next day we continued to explore more of Berlin’s recent history by going to the Soviet War Memorial and the Topography of Terrors Museum. The delegates were excited to see the Enigma machines and learn about the Gestapo spies whom were employed during the Second World War. We then followed this walking tour with a meeting with the Share the Meal team. ShareTheMeal is a start-up company which crowd-funds through a smartphone application to fight global hunger through the United Nations World Food Programme (WFP). It enables users to make small donations to specific WFP projects in developing countries and to track their progress. The delegates then explored the central area of Postdamer Platz before they got an early night for another packed day! Today we had an early morning stroll over to meet with Copenhagen City Council. They kindly met with us again despite limiting their meetings with delegations to other city councils since last year’s Global Development Tour. We were able to see the grandeur of Copenhagen’s City Hall before heading to their administration building across the bridge. 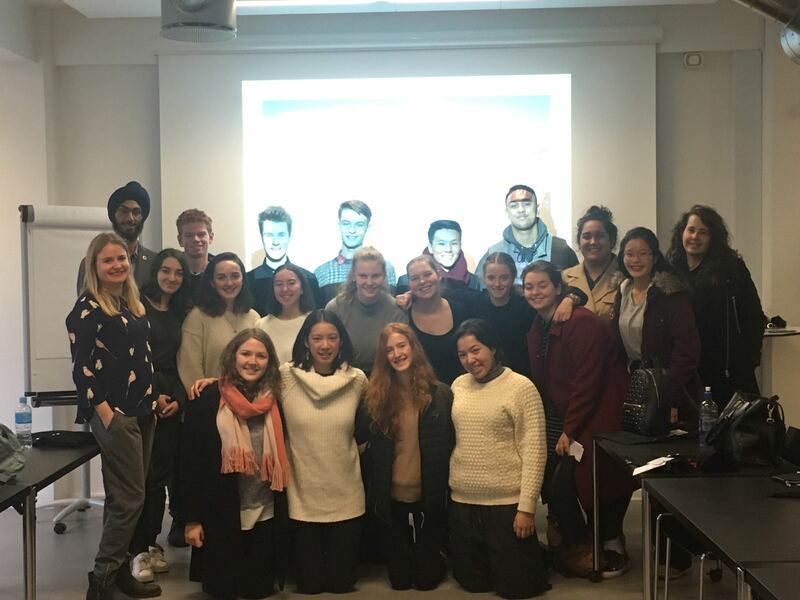 The delegates were met with a thoughtful package which included interesting reports on the goals in which Copenhagen City Council published. These included becoming the first Carbon Neutral city by 2025 and becoming the city with the most cyclists. One of the highlights of our time at Copenhagen was seeing a delegate learn how to cycle (being taught by her peers). There were some key lessons on how urban spaces could be transformed when people are put at the centre of urban planning. The delegates certainly were left with a lot to ponder over, as urban sprawl continues and communities become increasingly urbanised. After the meeting finished we headed straight back to pack and head over to the Airport. Next stop onto Berlin! 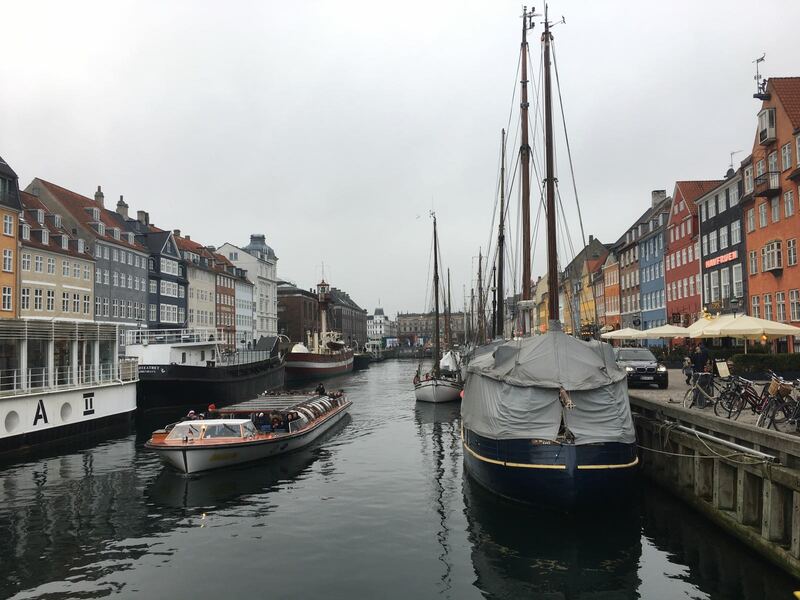 Given our first full day in Copenhagen was a Sunday, we spent the day on a walking tour of iconic parts of the city including the Little Mermaid, King’s New Square, Rosenborg Castle and Christianborg. 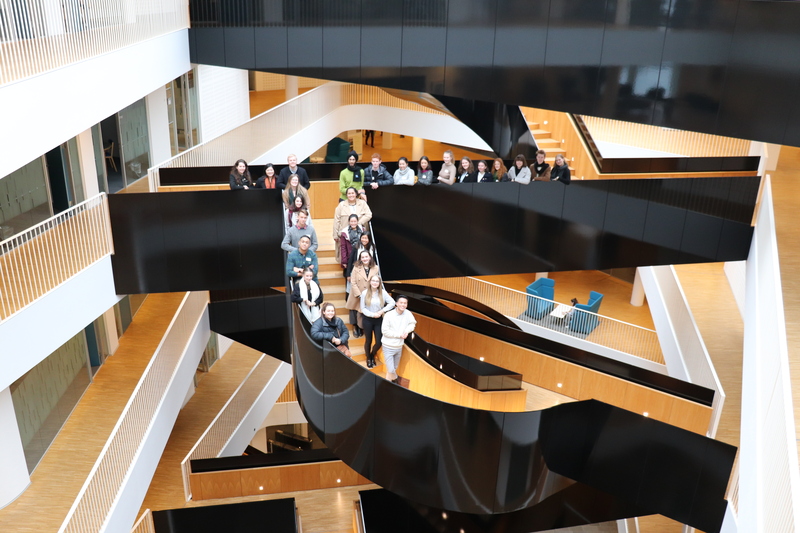 The delegates enjoyed walking around the Church of Our Saviour because you could see the old Danish heritage nestled amongst modern and commercial buildings. 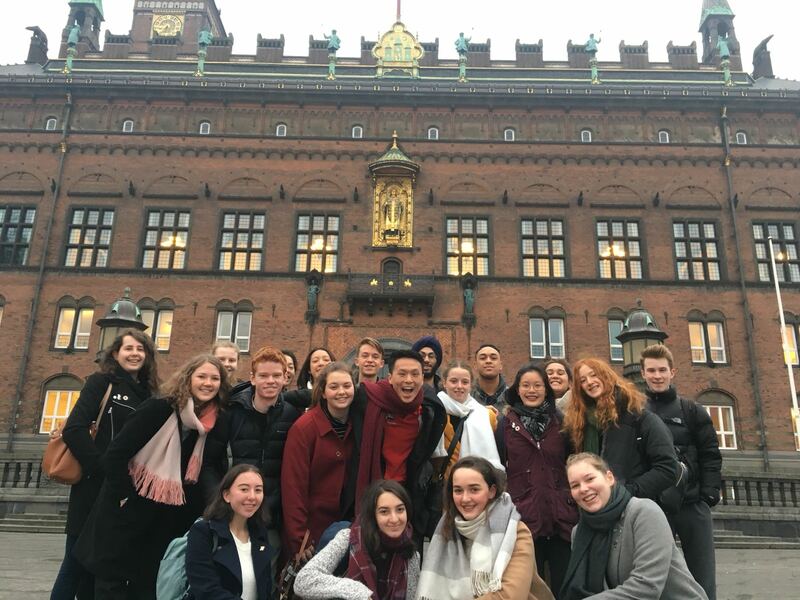 Walking along Nyhavn was an idyllic experience and some of the students even went on a cycling tour of the surrounds. This morning was spent with an early start to journey towards UN City for a meeting with UN Women. We had two interns present to us about the role of UN Women both normatively and operatively across different sectors. We got to understand that the Copenhagen office was more a liaison centre for advocacy and partnership with civil society and businesses to action gender equality in all forms. 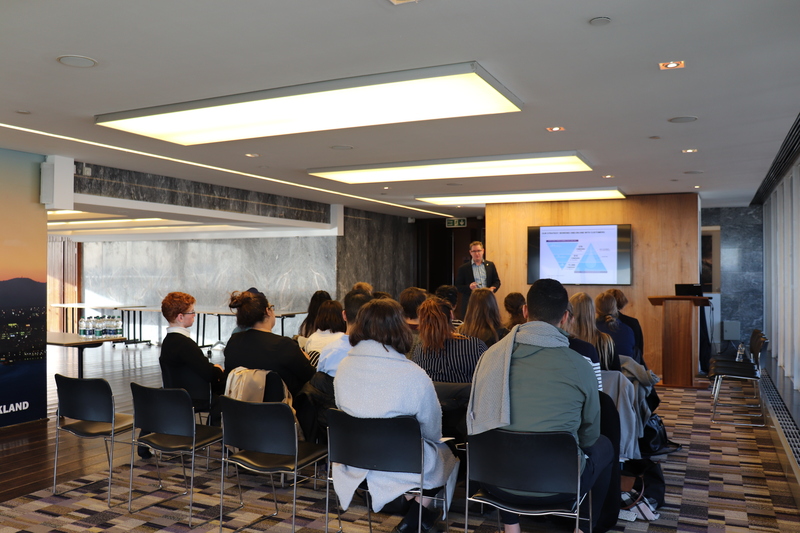 The delegates also got to compare the situation of the 2017 Global Gender Gap Report between New Zealand and Denmark as well as discuss policies or cultural differences which may explain the status of women or other genders in both New Zealand and the city of Copenhagen. Afterwards we got a tour of the UN City building and the thought and planning which went into its conception. Although we learnt that UN City was erected here in 2002, there are plans for new towers and offices to be built this year to accommodate the growth of the UN agencies such as the World Health Organisation which has its headquarters here. Interestingly, the UN City has a moat around its building for security and almost one solar panel for each employee on its premises. Along the port you can see wind turbines dotted along the horizon and the building is designed so that the lifts are out of eyesight in order to reduce energy consumption and encourage dialogue. Tomorrow we have another early meeting with the Copenhagen City Council and then off to another European city! Making the most of our last day in London, we went firstly to the British Museum which houses famous artefacts such as the Rosetta Stone. There was even an exhibit on New Zealand in the ‘Living’ section. After the British Museum, we headed towards the New Zealand House to meet with Lauren, on a posting with the Ministry of Foreign Affairs and Trade and Daniel Taylor, the Trade Commissioner in London. The Delegates were excited to be at London House this afternoon. They were briefed by Lauren on the continued role of the Commonwealth and the importance of this network for small-state countries such as New Zealand. This fascinated some of the Delegates who saw the Commonwealth as a somewhat vestigial network. These different perspectives have further helped the delegates to understand how useful strategic connections can be in the realm of international trade and forums. The delegation addressed some interesting questions such as New Zealand’s changing dynamics of trade and exports to the European Union countries and the United Kingdom. They were thoroughly impressed with the degree of educational content in which NZ Trade and Enterprise prepared for our meeting. After an intense Q&A and the ending session, we had some time to explore Piccadilly Circus before having a beautiful meal together to celebrate the end of a successful week in London with no rain and sun each day. This morning we headed early to meet with Stuart, the Head of Investment, at the London Waste Recycling Board (LWARB). 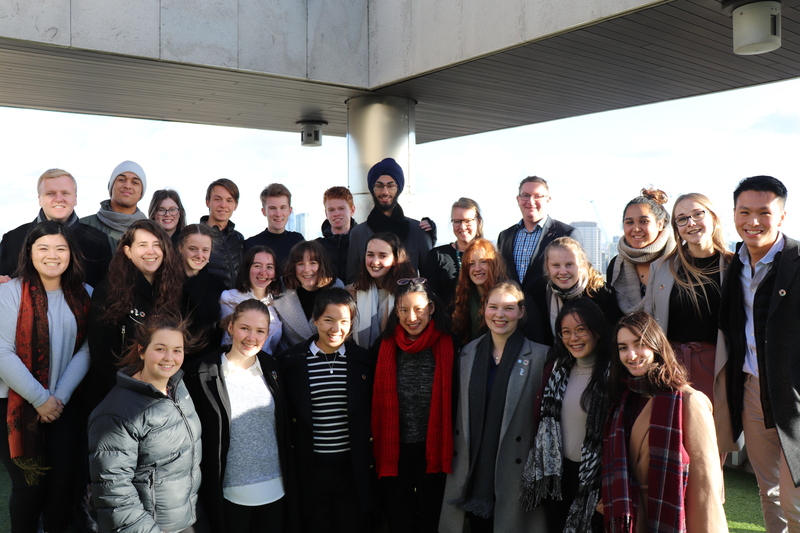 Learning about the challenges of reaching the Board’s mission of being carbon zero by 2040 was both inspiring and confronting given the issues the delegates had researched before this tour. Particularly it was heartening to hear that LWARB were optimistic that they could reach their objectives. 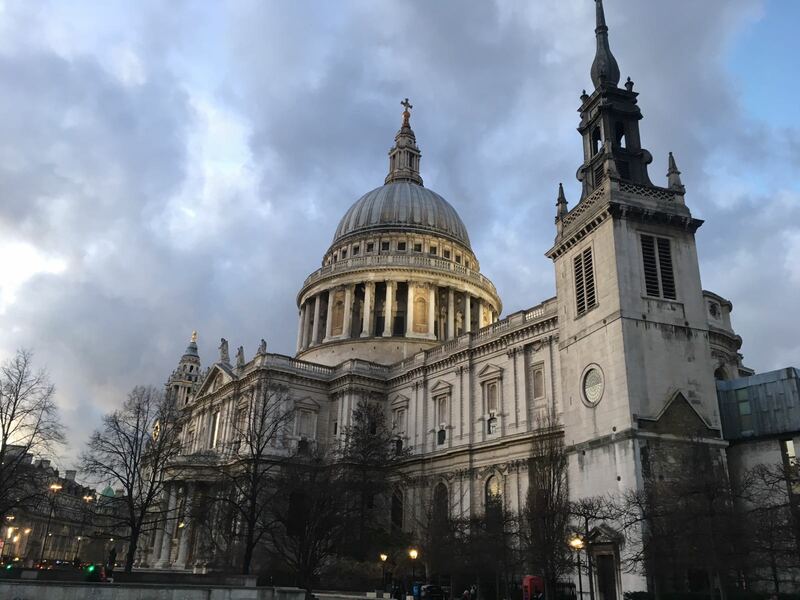 Delegates noted the connection between the Grantham Institute’s work and LWARB through their support of innovative solutions and ventures tackling waste and environmental projects in London city with a population of almost 8 million. 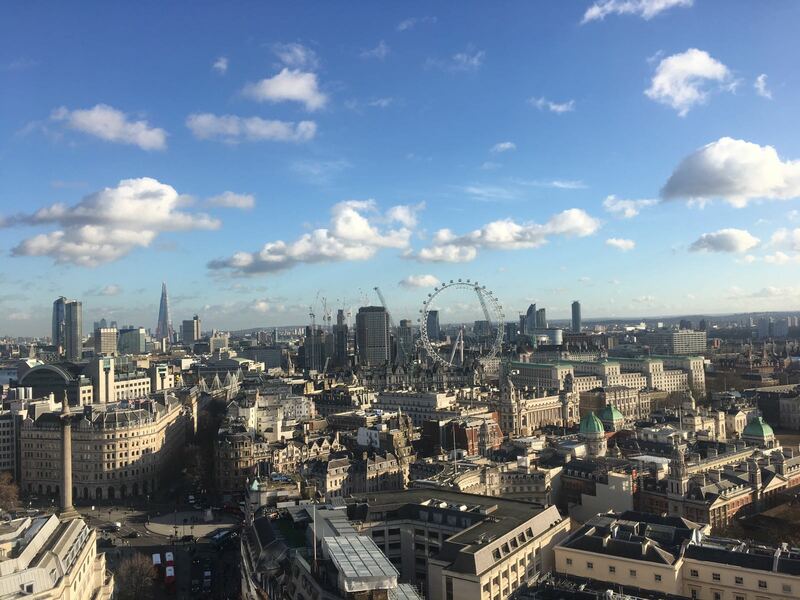 London is also one of the European Union’s most productive and highest growth areas so balancing these factors and the need to be more sustainable requires future-planning and pre-empting the needs of those living in the future. The delegates noted some pressing lessons to learn for expanding cities such as Auckland, Wellington and Christchurch. After this meeting we journeyed to a global NGO and non-profit group to learn more about how law firms and lawyers can address SDG 1 on eradicating poverty. A4ID is a legal brokerage service organisation and helps to match up lawyers or firms with international development projects. One of the key ways in which A4ID does this is through litigation. However the delegates received insight into the ways in which A4ID implements strategic litigation to help the organisations and key projects in developing countries. We also want to thank the legal partners of A4ID, including White and Case, who so generously hosted us for this meeting. After these two full-day meetings, the delegates squeezed more landmark sites into our second to last day in London. At the conclusion of the tour of the Tower Bridge and St. Paul’s Cathedral, we had dinner in Leicester Square to end the evening. It is our last day in London tomorrow and we are going to make the most of it!